January 21, 2014 – D-Link has shown a full range of new products, including many notable firsts for the company and the world, at 2014 International CES, the biggest consumer electronics show on Earth. 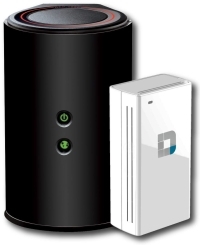 Powered by mydlink Cloud services, totally unique in the networking space, they are designed to meet current and emerging customer needs for smarter home connectivity. Highlights of the show include three 2014 CES Innovations Honorees: the Wi-Fi Baby Camera (DCS-825L), the mydlink Network Video Recorder (DNR-312L), and the world’s first IP Camera with fast, next-generation 802.11ac Wi-Fi, the Wireless AC Day/Night Camera with Color Night Vision (DCS-2136L). 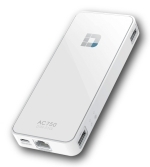 Another is the Wi-Fi AC750 Portable Router and Charger (DIR-510L), the world’s first portable router with Wireless AC, which makes high-speed connectivity wearable. New parents can put their baby worries to bed with the highly portable DCS-825L Wi-Fi Baby Camera. It transforms a smartphone or tablet into a versatile, easy-to-use baby monitoring solution for at-home and remote viewing and receiving push alerts, and can even be powered by USB battery pack, so it’s easy to place anywhere. A 2014 CES Innovations Honoree. Home users and small businesses everywhere can now take control of their surveillance with the DNR-312L, a comprehensive, DIY network video recorder with 1-bay enclosure and integrated HDMI port for viewing up to nine cameras without a PC. A 2014 CES Innovations Honoree. The world’s first 11AC IP camera, the DCS-2136L is mydlink-enabled for full-color, high-definition monitoring from anywhere, under any lighting conditions, all from a smartphone. A 2014 CES Innovations Honoree. Being the leader in ultra-fast, next generation 11AC Wi-Fi for the home, D-Link has now introduced the world’s first portable router with 11AC connectivity. It connects, charges and streams media to mobile devices anytime, anywhere. These range extenders perfectly complement existing Wi-Fi networks with next-generation Wireless AC speeds, add dual-band connectivity, and eliminate dead zones, at the push of a button. The DAP-1650 with Gigabit Ethernet makes it easy to bring a Smart TV or next-generation console onto a Wireless AC network. 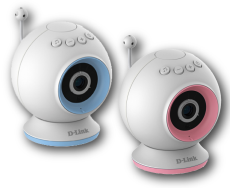 The D-Link Wi-Fi Baby Camera (DCS-825L), mydlink Network Video Recorder (DNR-312L), and Wireless AC Day/Night Camera with Color Night Vision (DCS-2136L) are all International CES Innovations 2014 Design and Engineering Awards Honorees. Products entered in this prestigious program are judged by a preeminent panel of independent industrial designers, engineers and members of the media to honor outstanding design and engineering in cutting edge consumer electronics products.